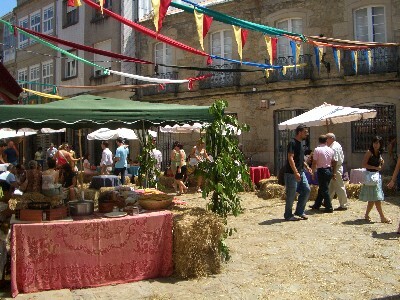 Many towns in Galicia now celebrate a Celtic fiesta at some point during the busy summer season. This festival is actually a manufactured one for the tourist industry and it did not exist (as far as I can tell) 10 years ago. 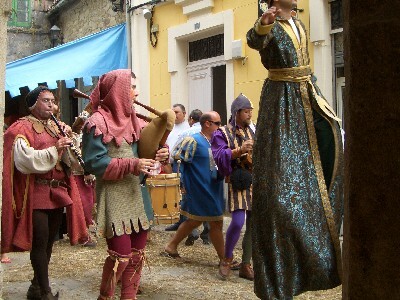 Despite the lack of historic relevancy, the Celtic festivals are a great spectacle to see and, what is something akin to a troupe of performers, market stall owners and fancy dress outfitters, travel across Galicia helping to add reality to this highly visual event. 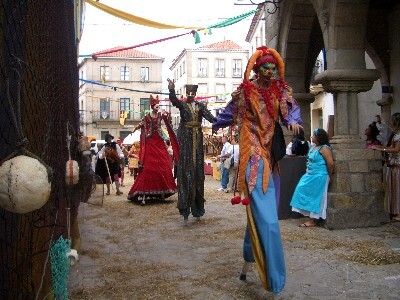 Most of Galicia’s larger towns have a Celtic fiesta of between 2 and 3 days in duration and the one shown in the photos below is in Noia. 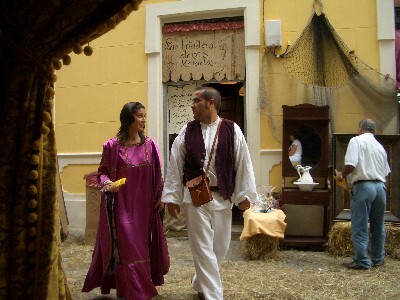 It takes place in mid to late July and lasts three days. The celtic event in other towns duplicate the same events and appearance. 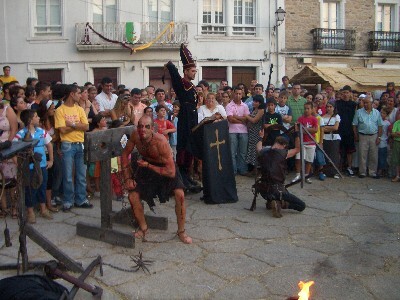 What you get to see at one of these fiestas is primarily the dressing up of the entire old town in Celtic regalia. 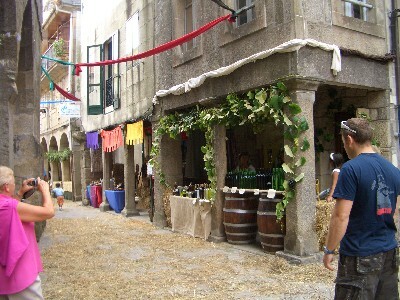 This extends from the shop fronts to the costumes of the staff and many residents. Bar side chairs and tables are replaced with straw bails and markets stalls sell all manner of trinkets, spices and items from bi-gone days. One of the old town squares will also be used for some entertainment which can included humorous plays, falconry displays and fun things for children. 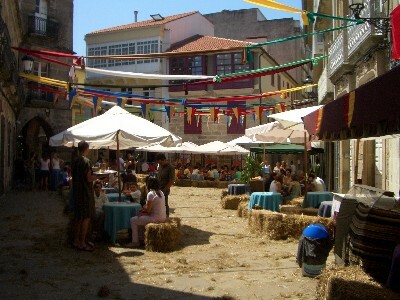 Although only added on 31.12.2007, the photos on this page are from the Celtic fiesta in Noia from July 2006.